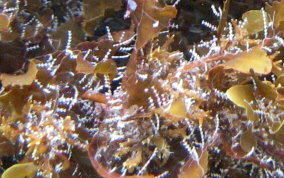 Hydroids are one of the most abundant creatures in the water. 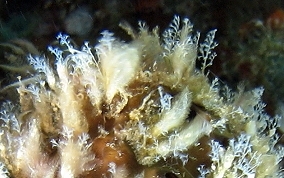 Almost every surface has some sort of hydroid growing on it. 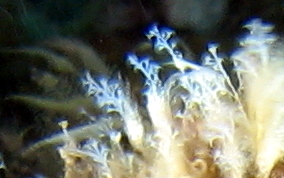 These unbranched hydroids are probably several different species, but all are what I would call unbranched.